I am excited about a new exhibition "Behind the Image", now showing at the Suffolk University Art Gallery. 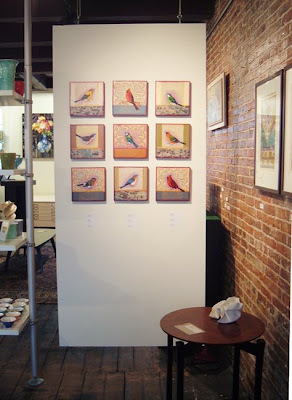 Exhibiting Artists include: Hannah Barrett, Dana Clancy, *Lisa Costanzo, Heather Hobler, John Guthrie, Cristi Rinklin and Joe Wardwell. 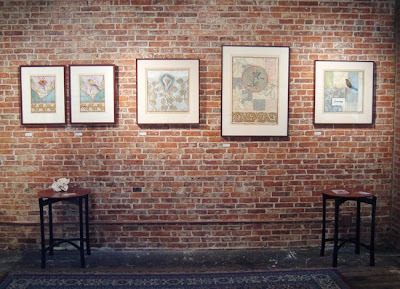 Behind the Image is an exhibit of seven well-established artists who live and work in the Boston area. The exhibition reveals some of the investigations, processes and inspirations these artists used to produce specific artworks. 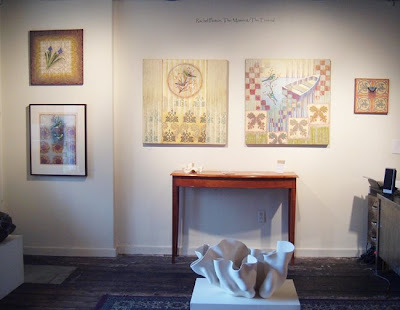 The highly crafted paintings and drawings created by these artists are shown side-by-side with the sketchbooks, digital mock-ups,photographic studies, art history books, and color studies that informed their decisions during production. In addition to preparatory sketches, the curator attempts to re-create the “studio wall” of each artist - surfaces covered with inspirational objects, unexpected images, postcards, photographs, magazine pages, album covers and news clippings. The creative act itself is on view in many ways. 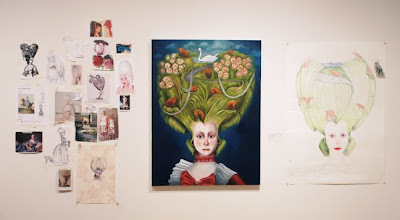 The finished work is given a history through this “contextualizing” of the artwork with early stages of thought and jumping off points in evidence. Students, other artists and the public get an opportunity to see what is “Behind the Image” in each of these diverse artistic practices. 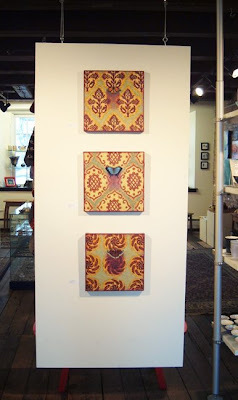 *Lisa recently exhibited these three small paintings from her "Nest" series at Three Graces. 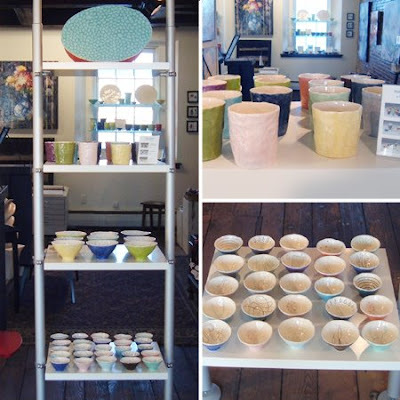 They are currently available in the gallery and here on our New Online Shop! 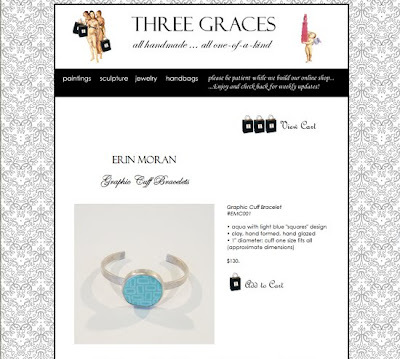 I am thrilled to announce that ErinMoranDesigns.com has been launched! 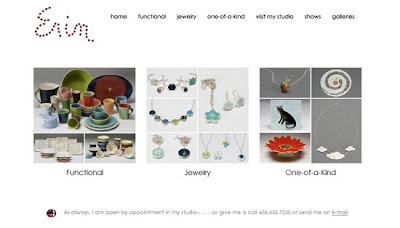 I finished the site for Erin last night, which features her hand built pottery and jewelry designs. ... and in our NEW Online Shop!!! This past Friday we celebrated the opening of "The Moment/The Eternal", an exhibition of recent works by the fabulous Rachel Paxton! 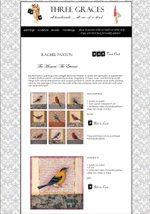 All of the paintings can now be viewed and purchased online here. Please join Seacoast Local in dining out for Restaurant Week Portsmouth,this week! Events run Nov. 10-16, with deliciously detailed menus online at http://www.portsmouthchamber.org/restaurantweek.cfm. We're proud to live in a place where so many restaurant owners arepassionate about what they do, and are working hard to create businesseswith incredible reputations. We're also honored that proceeds from the eventwill help support Seacoast Local's work in building strong local businessesand sustainable agriculture. Take a break with friends or loved ones before the holidays, explore newtastes, help stimulate the local economy, and enjoy your community—we'll seeyou out there!